The strategy, used by several countries, has proven to be sound advice during terror attacks. 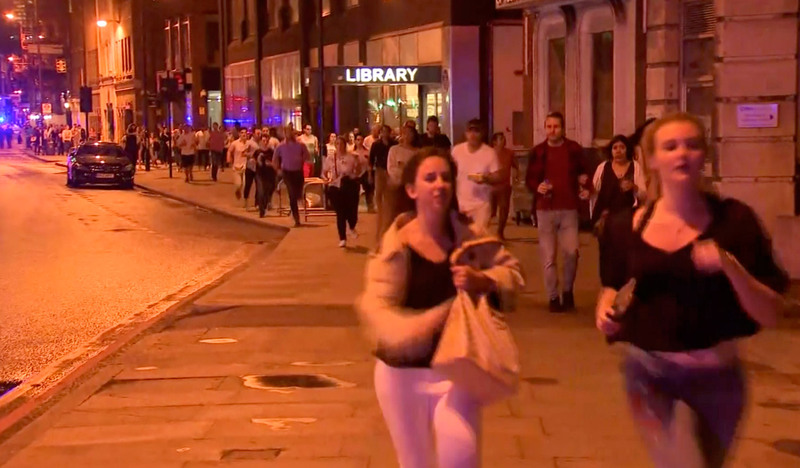 Chaos broke out for several minutes during Saturday night’s attack in the heart of the city, with people scattering in all directions, sometimes directly into the path of the men trying to kill them. “The longer you wait and deliberate … the chances of your survivability really diminish notably,” he said. 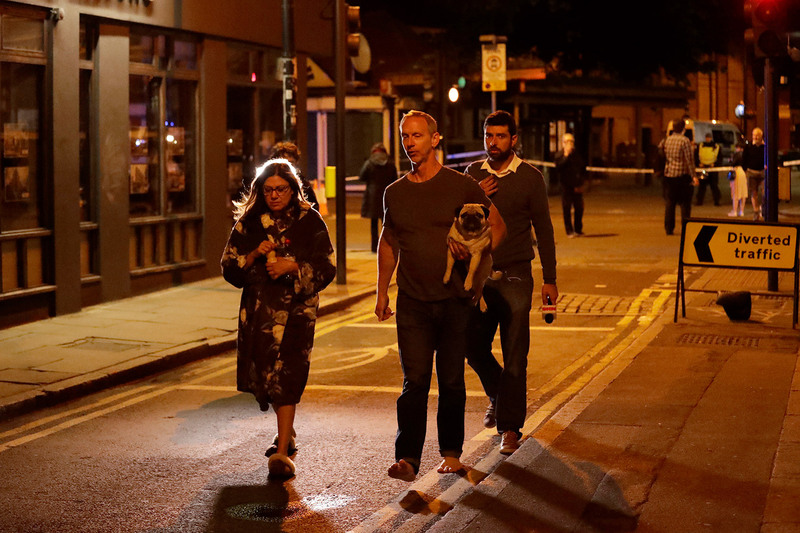 A man carries a dog while walking with a woman wearing a dressing gown after the June 4 an attack in London. 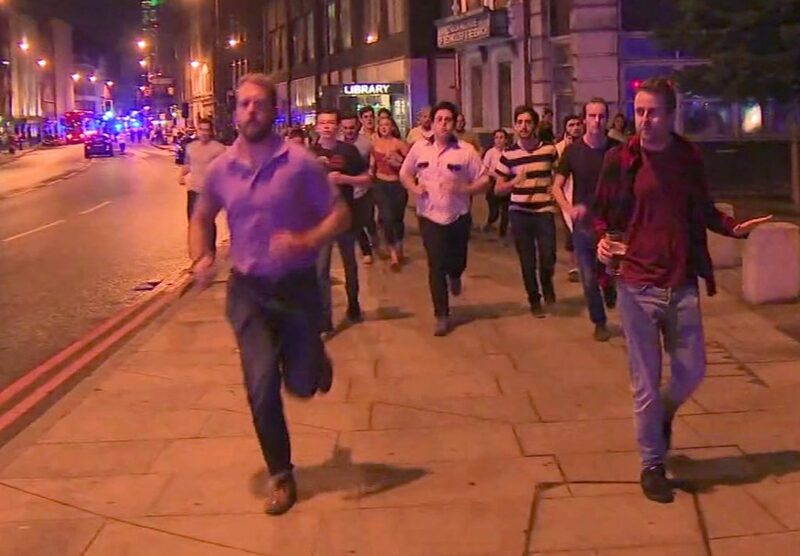 A vehicle veered off the road and mowed down pedestrians on London Bridge and witnesses told of men with large knives stabbing passersby at nearby Borough Market. “There was a car with a loudspeaker saying ‘go, go’ and they (police) threw a grenade. … and then I ran,” he said. He then let about 20 people hide in the bakery and closed the shutters.